Covers left and right side. Includes wear inserts to reduce wear. 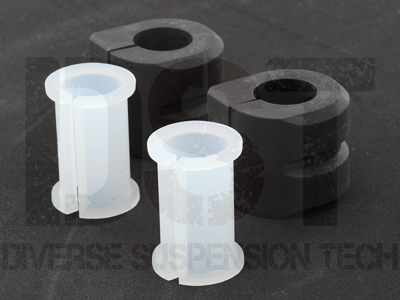 Bushings are 17% wider than OE to provide additional handling performance. 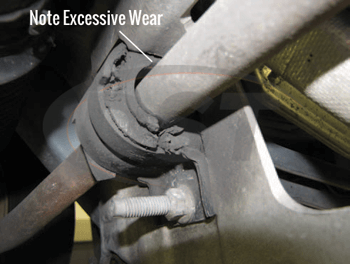 The OE front sway bar bushings on your minivan are prone to excess wear due to poor designing. Things such as weather, road chemicals, and contamination can be the culprit. Once the OE bushings are worn they may experience excessive movement in the bracket, causing additional wear and ultimately leading to more suspension problems.  This can be a very frustrating problem, but there is good news! DST has a solution thanks to Moog's Problem Solver! Moog's line of problem solver parts targets factory defects or poor original design, replacing them with a better more durable part. Moog has engineered front sway bar bushings to provide maximum support and performance so you no longer have to worry: K200601. The Moog Problem Solver K200601 was designed to provide maximum support and performance due to being 17% wider. The increased rubber allows additional flex and shock absorption. The K200601 was engineered with a material that resists the effects of ozone, chemicals, and water. 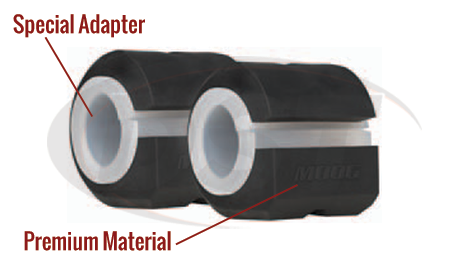 K200601 includes a special ID adapter sleeve for increased durability. Moog also moved the installation slot to the original location which eases installation and limits side to side movements. This part was specifically designed to fit 2001-2007 Chrysler Town & Country, Dodge Caravan or Plymouth Voyagers. If you are looking for those models in the year range of 1996-2000, you will need part number K200600. 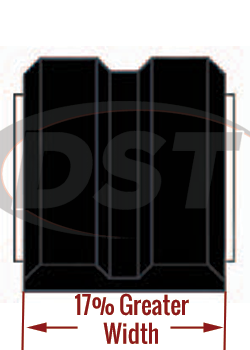 Our DST customer service team would be more than happy to answer any questions you have regarding K200601 or any other part!